There are some common driving mistakes that even a seasoned driver may make when it comes to winter driving. Top Driver wants to make sure that our drivers are safe through the winter months. To find out more about Top Driver, visit us online at www.TopDriver.com or call us at 800-374-8373. Those tires that are wearing down may not seem like a big deal in the summer, but as soon as the roads begin to get slick they become a serious safety hazard! Be sure to check the tread on your tires late in the summer to determine if they’re going to be safe on the roads though the winter. If you live in a region with significant elevation changes you may consider getting chains for your tires as well. Many people treat the speed limit as though it’s a required minimum, but it’s important to remember that it’s a maximum speed. You are in no way required to drive the posted speed. Determine your own speed (as long as it’s below the speed limit!) and stick with what you’re comfortable with. Be sure that you always have a small winter survival kit packed for emergencies. This kit should contain things like a snow scraper, a small shovel to dig yourself out, a bag of salt to melt ice if you park in a slick spot, a few hand warmers, and a few nonperishable snacks. A huge mistake that drivers fall victim to during the holiday season is over consuming alcohol during holiday parties. Give yourself a maximum at the beginning of the night and stick to it. Whether it’s just one drink or two drinks, just remind yourself that it’s what’s reasonable for you and don’t let anyone talk you into more. 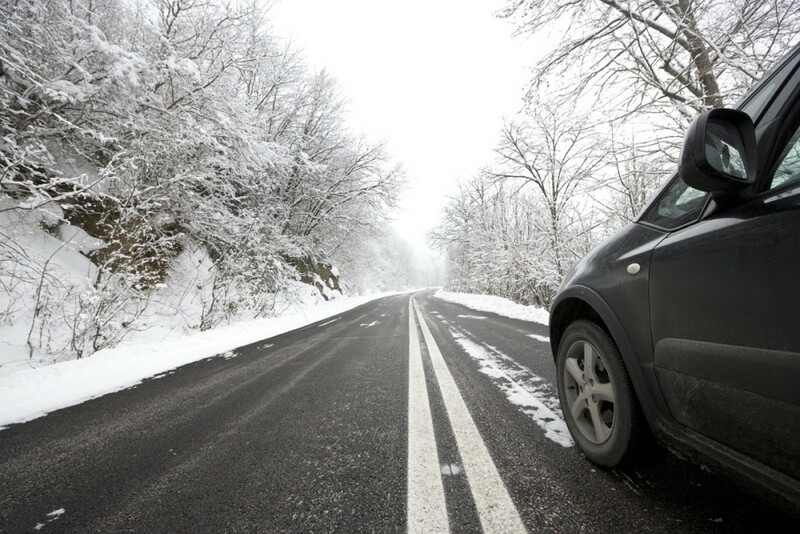 If the unthinkable should happen – a breakdown or accident in the middle of winter – do not leave your car. The car is the warmest place that you have available in the middle of the cold. Instead use your cell phone to call for help and stay put! This entry was posted in Top Driver Blog and tagged Driver Education, Driver Safety, New Driver, Winter Driving, Winter Driving Safety, Winter Driving Tip.